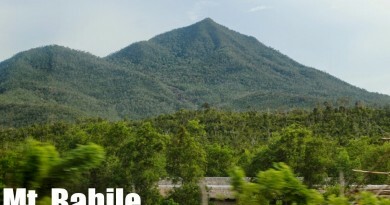 A paradise at the heart of Camarines Sur is lotfy Mt. Isarog, rising to 1966 MASL. 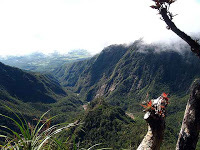 This mountain has a rich biodiversity and beautiful views: its very own mossy forests and verdant crater, an overview of Bicol Peninsula, and a glimpse of majestic Mt. Mayon. It abundance of water is refreshing, with streams and waterfalls encountered along the trails, and sulfuric springs beckon to relax weary mountaineers and other visitors. Its dubbing as “Vulcan de Agua” lives up to expectations: Isarog has 16 major rivers that provide potable water to 15 of the 35 towns of Camarines Sur and irrigate some 67,400 hectares of rice lands at its foot. There is a cornucopia of species in Mt. 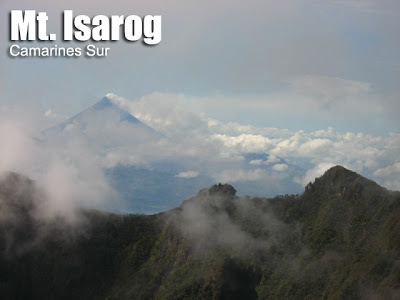 Isarog, and most distinguished in the list are the endemic ones: the Mt. Isarog Shrew Mouse, Isarog Striped Shrew Rat, the Isarog Shrew Rat and the Isolated Forest Frog. In all, there are 143 species of birds. Mammals found in the area include, among others, the Philippine deer, monkeys, bats, wildcat and wild pig. There is also a snake that is endemic to Mt. Isarog, but don’t worry, it’s blind! (Typhlops jagorii). These animal species find refuge in a forest that has more than 1300 species of plants including hardwood trees, mosses, ferns and orchids. Rafflesia, the largest flower genus in the world, have also been sighted in this mountain. You would also encounter mushrooms and a number of colorful insects. Three trails in Mt. Isarog lead to two different destinations. The commonly used trail, leading to the summit, is the Panicuason trail, which starts at DENR station in Brgy. Panicuason, Naga City. A second trail is the Patag-Patag trail (said to be a misnomer because the trail is far from ‘patag’ (flat) but steep and challenging, will be discussed on a separate itinerary. Finally, there’s the trail from Goa, Camarines Sur, which takes four days. 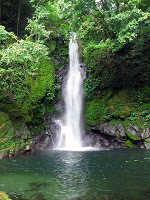 The initial highlight of a climb in the Panicuason trail are the waterfalls: Malabsay Falls, with its large catchbasin and Nabuntalan Falls which will be visited before reaching Camp 1, around 2 hours away from the jump-off. A series of campsites ensue until the summit, for a total of 8-10 hours trekking time from jump-off. However, usually the trek is interrupted before sundown in what is simply known as ‘Campsite’, from which the assault to the summit is done the next day. Throughout the trails, you will be surrounded by the mossy forest of Isarog. The trails are described as moderate in difficulty, with ample cover from the trees, an abundance of water sources, and reasonable slopes. Campsites are available as rest stations. From the Campsite, it takes 90-100 minutes to reach the summit. It is usually started very early morning. At this point, beyond 1500 MASL, the trees become stunted and covered with mosses and liverworts, characteristic of the mossy forest. At the summit viewdeck, a distant Mt. Mayon with its perfect cone shape rises south, and the verdant crater of Isarog can be seen- a vast expanse of land. You can see the waters bounding the Bicol peninsula, as well as the towns of Camarines Sur. It is a rewarding array of sights after a thoroughly challenging trek. After descent, to make the trip to Bicol worthwhile, favorite sidetrips include a stay at the Camsur Wakeboarding Complex, and the nearby Mt. Asog (Iriga). You may also stay at Consocep Mountain Resort but this is more accessible through the Patag-Patag itinerary since it’s in Tigaon. Take time also to visit Lake Buhi, another famous feature of the province. 1700 ETA Campsite. Set up camp. 0900 Campsite, breakcamp, prepare lunch.etc. 0600 At Naga City, take return bus to Manila or proceed to sidetrip. More trek time may be transferred to Day 2 of the above itinerary to give more time for exploration of the waterfalls on Day 1. For such, a lower campsite (i.e. Camp 1) may be employed. An entrance fee of Php 75 for students and Php 100 for professionals is required by the DENR Protected Area Office. This office may be reached at +63544728018, with resource persons as follows: Mr. Oscar Dominguez, Provincial Environment and Natural Resources Officer and Ms. Yolda Abante with cp# 09104824615. In this office, which is also the jump-off, guides may readily be secured at P300/day. For mountain guides and gears, one may also contact Kadlagan Outdoor Shop with address at Dimasalang St., Naga City, telephone no. (63)(54) 472-3305 or e-mail at kadlagan@yahoo.com. Jojo Villareal of Kadlagan may also be reached at 09198006299. KADLAGAN also organizes regular climbs to Mt. Isarog, in cooperation with the local government. 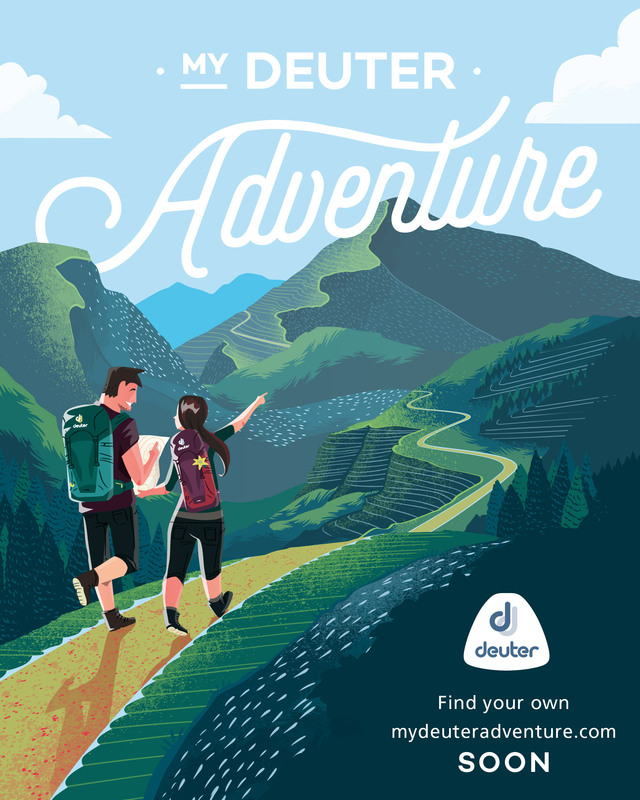 Their package tours are highly recommended for groups and individuals alike. Limatik (blood leeches) are present in this trail especially in the rainy season so prepare accordingly. A concern is security in the area, particularly NPA presence (insurgency). However, as of Dec. 2007 the trails used to climb Mt. Isarog are considered safe from these threats, and locals have taken steps to protect the mountain. Mt. 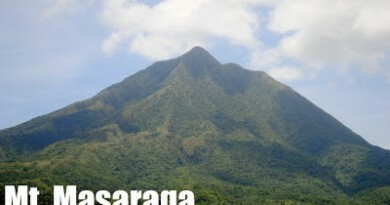 Isarog is Bicol Region’s second highest mountain. 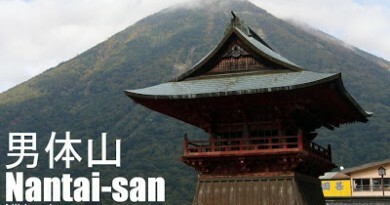 On Aug. 17, 1935, the national government issued Proclamation 840 that established the Mt. Isarog Forest Reserve. Proclamation 923 declared on July 20, 1938 its 10,112 ha of land as the Mt. Isarog National Park. Its last eruption was said to be 1641 but Pinoy Mountaineer is still researching on the volcanism of this dormant volcano. 101 Comments on "Mt. Isarog/Panicuason Trail (1,966+)"
means? I have a mission that I’m simply now operating on, and I’ve been at the look out for such information. to sir mac: sir mac, charlie to.. yung katabi niyo sa campsite sa tarak nung june.. pinagiisipan ko rin kung pede kami umakyat sa november.. kaso ibang date kami, tsaka paguusapan pa namin..